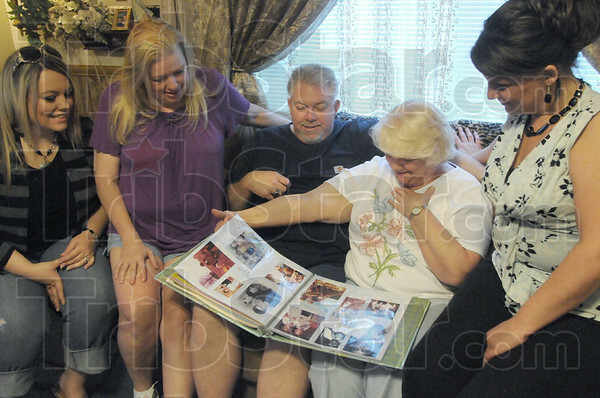 Mother's Day gift: Mike Decker sits with his mother and sisters looking at a scrap book he brought to show his newfound family Friday afternoon. MIke's sisters are from left, Sarrah Selph, Dianna Hough and Tiffany Long (far right). Mike's mother Sharon Keegan holds the book.